Acupuncture is form of medical treatment in which acupuncturist inserts very fine needles into particular points on body to treat diseases. 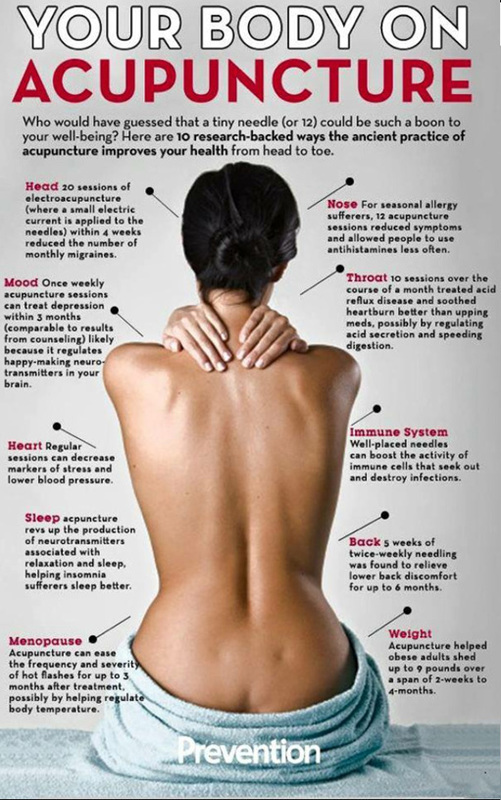 There are more than 360 acupuncture treatment points on body. 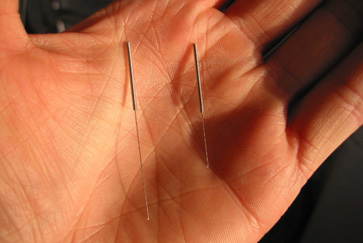 Acupuncture needles used are very thin, sharp and flexible and are almost painless. Acupuncture does not hurt. Patients may feel just small sensation at time of insertion or not feel anything at all. 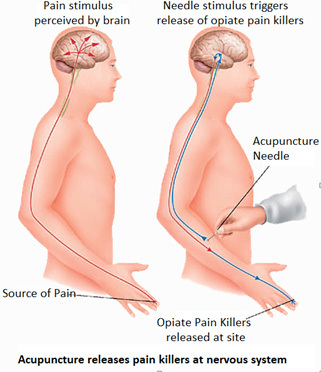 No medicine is injected at point of insertion of acupuncture needle. There are almost no side effects of acupuncture treatment. Acupuncture needles are inserted at given points situated specific channel or meridian to let patient feel sense of minute dull ache called as Qi at point of needle insertion. Needles are inserted at varying depth depending upon point and indication. It may range from ½ cm to 8 cm. Needles are kept for varying time from 3 minutes to 45 minutes. One does not have to believe in acupuncture to get results. Many of our patients get instant results with just insertion of acupuncture needles and feel relief as magic. Needles are latter slightly moved side words or vertically to stimulate the particular point. Patients may go to sleep after insertion of needles because of relaxing effect of acupuncture. After treatment of patients are asked about status of pain or relief as in many cases relief is instant. Effect of acupuncture however increases over days or weeks. He or she is then asked to relax for 10-15 minutes before going home. Further treatments depend upon disease and response. It can be next day, 4th day or after week. Correct evaluation result is evident in next visit when patient goes thorough full cycle of daily activities for few days. Acupuncture cost is generally far less than conventional treatments. Surprisingly pain relief by acupuncture is instant in many cases. Wikipedia describes acupuncture in great details. I am myself post graduate allopathic consultant in obstetrics and gynaecology. I have been treating lacs of patients in last forty years. I have conducted thousands of deliveries and hundreds of major surgeries. I feel acupuncture deserves due respect and position treating human sufferings. From my critical experience and view remains fact and conviction that acupuncture is very safe, and it works very well in relief of human sufferings due to many diseases. Insertion of needle in body releases certain neuro-hormones which act on brain, spinal cord blood vessels and other organs and let body to heal itself. How acupuncture acts now quite evident now, though not fully understood. There are many other disease which are treatable by acupuncture. 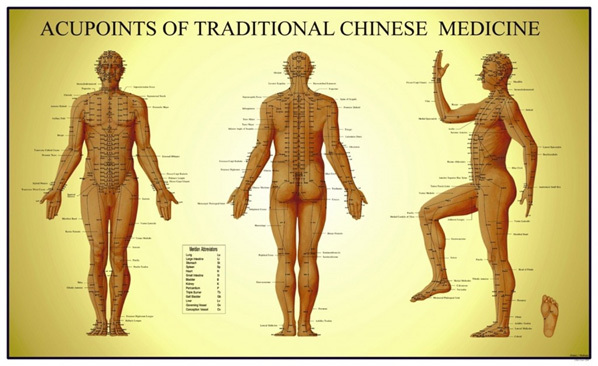 Traditional Chinese acupuncture assumption is that there are various channels on body and points situated on it in which bio energy (Chi) flows. The bio energy or Chi flow is in balanced in healthy state, but if disturbed or gets stagnated and illness become evident. Putting needles at these stagnated points treats disease. Health is maintained by balance of Yin and Yang forces of nature. Body has energy like Qi (chi) which flows throughout body and reaches every smallest part of body. Qi or life force flows through interconnected channels called Meridian which reaches each and every part of body. Disease is caused by internal imbalance or external factors. Blockage of channels (Meridians), consumption of Chi, stagnation of Chi or ‘blood’, heat, cold, and dampness causes disease. Pathogenic factors enter through surface of body which is guarded by anti-pathogenic factors of body. Diseases can be treated by stimulation of certain points on channels by needles, which can release the blockage or takes care of disease causing factors. Chinese were using sharp stones for draining abscesses and reliving pain, more than 4000 years before. Latter they have used sharp objects to press on body to get relief from certain diseases. Piercing stone needles was primitive way to alleviate certain symptoms. On availability of metals needles, they have used them to treat diseases in last 2000 years. There was no knowledge of anatomy, physiology, nervous system pharmacology or psychology or dynamics of human body as we have today. Therefore basis of disease and treatment is based entirely on observations of nature, events around and assumptions. Observations of certain benefit from certain treatment have been followed for more than 4000 years and have been delivered to modern times. 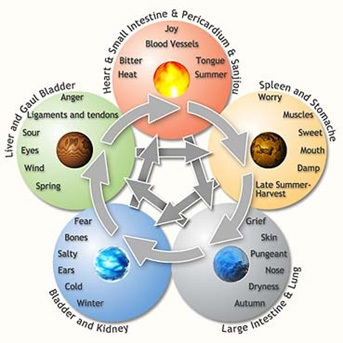 Acupuncture stimulates connective tissue, nerve ending, peri-osteum and other tissues, resulting into variety of reactions. The stimulation causes to body to release number of neuro-hormones like enkephalins, bet-endorphin and dynorphin which helps body to heal itself and relive pain. Release of release of neuro-humoral substances causes helps body to heal itself. Stimulation of certain nerve fibres causes spinal cord to act as gate, to block pain stimulus, which would have forwarded to brain. Many scientists have spent their life time to decipher rational behind mode of action of acupuncture. 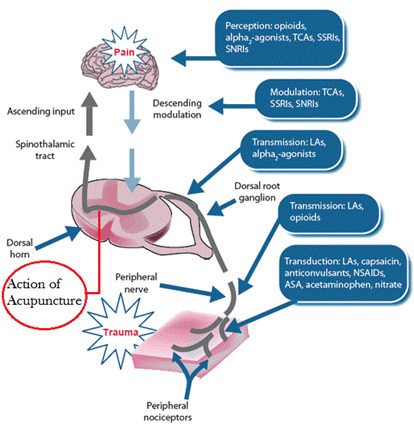 Now modern science has now come to stage of understanding possible mode of action of acupuncture. We are very near to decipher the exact secret. Fact remains that acupuncture works and works very well. As per figure acupuncture acts on descending pathway of hypothalamus blocking perception of pain passing through spinal cord. 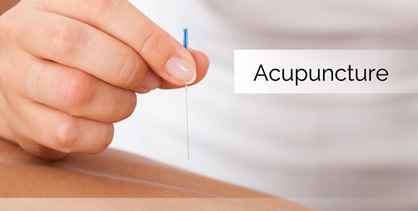 Acupuncture needles are inserted at particular point or areas expecting desired effect. Modern research has shown that very act of insertion of needle in the body stimulates connective tissue, nerve ending, peri-osteum and other tissues resulting into variety of reactions. The stimulation causes to body to release number of neuro-hormones which helps body to heal itself and relive pain. Stimulation of certain nerve fibres causes spinal cord acting as gate, which block pain stimulus which would have forwarded to brain. Three types of nerves namely are involved in perception of pain due to tissue damage. A-Beta fibres are large diameter myelinated fibres, A-Delta fibres are small diameter myelinated Fibre and C fibres are small diameter unmyelinated fibres. A-Delta fibres are responsible for accurate localization of pain and are without emotional accompaniment. On insertion of acupuncture needle stimulation, A- Delta fibres, sends its sense of stimulating activity to hypothalamus, which stimulates inhibitory system of brain stem. The brain stem system involving serotonin and noradrenalin ultimately act on SG cells in posterior horn of spinal cord where pain pathway is blocked. 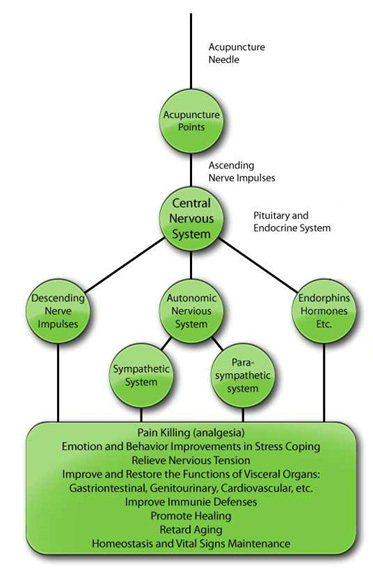 Thus acupuncture act on descending pathway of hypothalamus blocking perception of pain passing through spinal cord. Cingulate Gyrus, hippocampus, amygdale and part of hypothalamus and thalamus form limbic system. It is connected with cerebral cortex and responsible for modulation of pain perception emotion and formation of memory. Since patients undergoing acupuncture frequently experience relaxation, euphoria or may laugh or cry; it possible that effect is due to its effect on Cingulate Gyrus which also modulates pain, thus we have reduced perception of pain. There are three classes of opioids in analgesia – enkephalins, bet-endorphin and dynorphin. Low frequency electro-acupuncture stimulate brain and spinal cord to release of enkephalins, bet-endorphin. High frequency electro-acupuncture stimulation stimulates release of dynorphin in spinal cord. These opioids along with serotonin and oxytocin may be responsible for acupuncture analgesia. Thus stimulation distant part of body has effect on Brain as seen from above facts. According to NHS UK “Western medical acupuncture is the use of acupuncture following a medical diagnosis. It involves stimulating sensory nerves under the skin and in the muscles of the body. This results in the body producing natural substances, such as pain-relieving endorphins. It's likely that these naturally released substances are responsible for the beneficial effects experienced with acupuncture. According to Chinese belief, health is maintained by two opposing and co-ordinating forces called Yin and Yang. Energy called Qi that flows in more than 12 different channels in body. 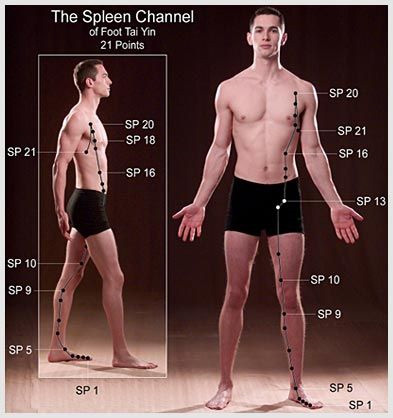 These channels have more than 360 different points called acupuncture points. Disease condition occur in body due blockage of these points. Blockage may occur due to external or internal factors. Needling these blocked points may release the obstruction of energy and cure disease. This belief was based 3000 years before when there was no knowledge of anatomy, physiology, pathology of human body. It based on observation of nature and imagination of human sufferings. Said channels or energy is not perceivable any modern technology. More over we have now some idea by modern investigations as to how acupuncture acts. The reason being acupuncture helps body to heal itself before it going into full morbid disease. Diseases like viral respiratory infection responds wonderfully well to acupuncture in initial stage than with secondary lung infection. We see patients of severe viral infection get well within 24 hours, when our allopathic medicine has almost no effect on course of viral disease. Similarly we have been treating atonic bladder with retained urine effectively and instantly if in initial stage. There are many methods of acupuncture treatments, each suitable for different conditions and individual patients. For example, knee pain can be treated by application of needles as per traditional method; at knee (local); shoulder (balance); hand (Su Jok); fingers (Tung); ears (auricular) or abdomen (Turtle) as per system of acupuncture used. This is great advantage especially for patient as per his own preference. Another advantage of use different system is that, if one system does not give desired results another acupuncture system can be utilised. Many diseases where allopathic medicine does not help patients in cases like pain of hemorrhoids, dysmenorrhoea, migraine and sinusitis; are treated better by acupuncture. Important benefit of acupuncture is its simple and there are no serious side effects. Its economical too. Recovery from disease can be with or without residual effects. Acupuncture works best in disturbed body functions state. Its value in healthy state is also unquestioned and should be sough first. We commonly see patients being treated for certain diseases telling us that they they feel better, have high senses of wellbeing or had good sleep. This healthy state is essential as preventive measure against general illness. Role of acupuncture here is remarkable.